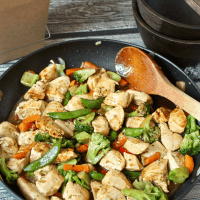 This quick and easy chicken stir fry with veggies uses just a few ingredients and is perfect for a busy weeknight. No more takeout needed! 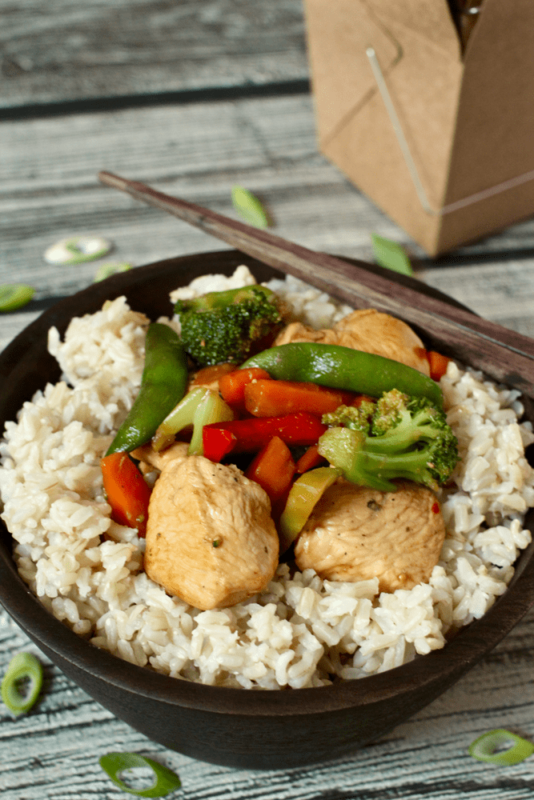 Stir fry is a great way to throw a bunch of different veggies together and make a satisfying, savory meal. I love having a smorgasbord of veggies in my stir fry. Broccoli, peppers, carrots, onion, snap peas, the adorable mini corn cobs, mushrooms, water chestnuts – bring ‘em on! I just don’t always want to have to buy a ton of different veggies, only to use a tiny bit of each in a stir fry. Now, you can certainly go to the salad bar section of your grocery store and do your vegetable shopping there. 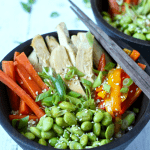 Or, you can have a bag of frozen mixed stir fry veggies on hand in your freezer at all times, so you can whip up this dinner in less time than it would take to get delivery. First, start your rice. I prefer brown rice, but white or basmati is fine, too. 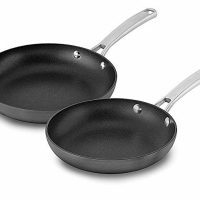 Heat your wok or large non-stick pan over medium high and cook the chicken for a few minutes. Remove the chicken from the pan (so it doesn’t overcook or get tough) and add the frozen veggies to the pan. 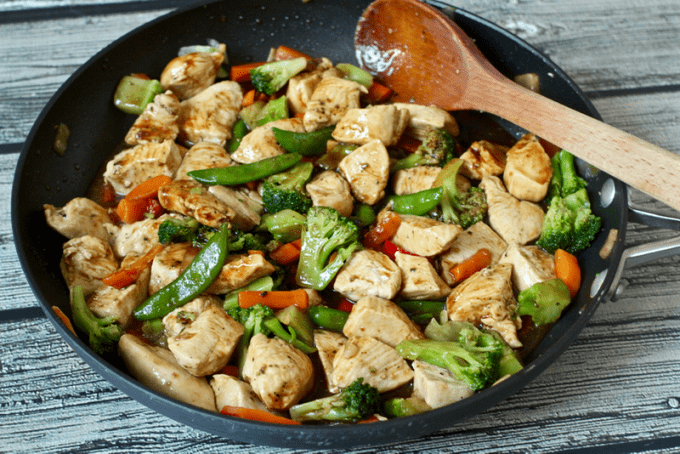 Once the veggies are tender, return the chicken to the pan and add the sauce. Let everything simmer together to warm up – and to finish cooking the chicken – and voila! Dinner is served! 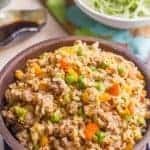 If you have leftover or frozen rice that you can heat up, that would make this dinner even quicker and easier. Note: We use the entire one pound bag of frozen mixed stir fry veggies for just my husband and I. I like a lot of veggies. A LOT! If your family is happy to split it up among four people, do that. Or use two bags. Or use one bag of frozen veggies and whatever extra veggies you have in the fridge or freezer. For instance, you could toss in a little more broccoli, if that’s your favorite, or some peas and carrots or bell peppers. You can customize this. Buy and use your favorite mix. I bet you can’t get that kind of service from your local Chinese take-out. 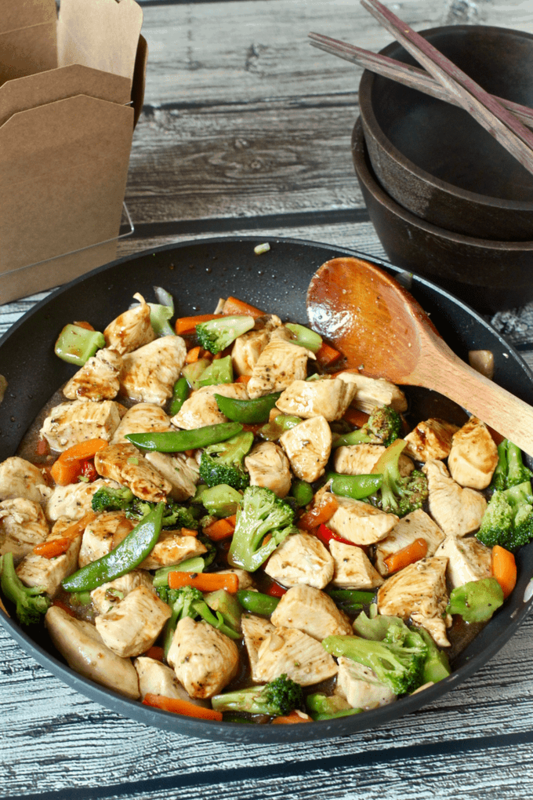 Try making your own stir fry and see how very easy it is! P.S. 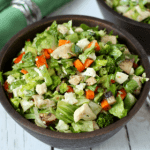 You can also check out my pork and broccoli slaw stir fry for a different version. 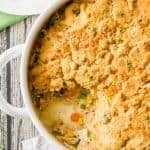 And see all of my chicken recipes in under 15 minutes for more fast weeknight dinners! Cut up the chicken breasts and season with salt and pepper. 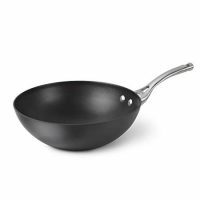 Heat 1/2 tablespoon canola oil in a wok or large skillet over medium-high heat. 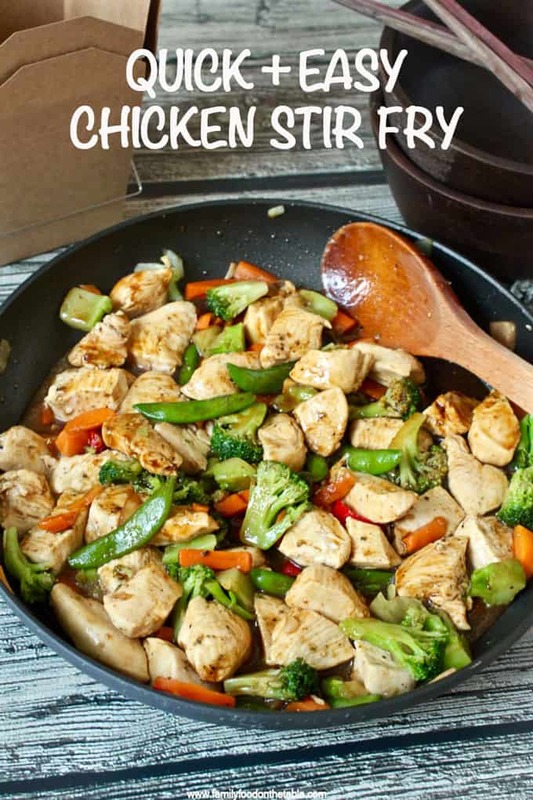 Add chicken and stir fry for 5-6 minutes, until almost done. Add remaining 1/2 tablespoon canola oil. Add frozen vegetables and stir fry 3-4 minutes, until heated through and crisp-tender. 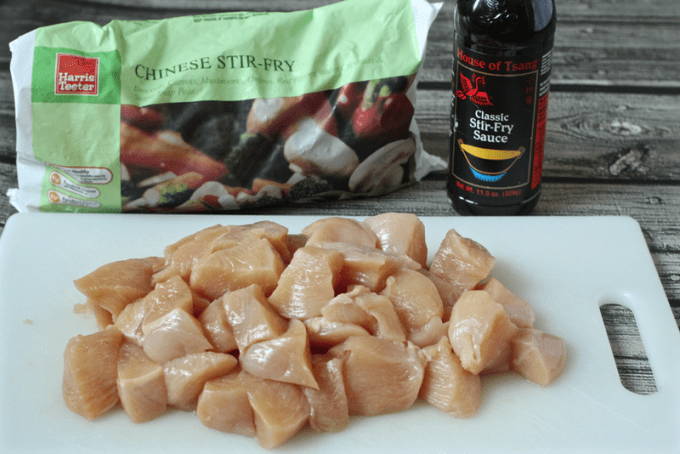 Return chicken to wok or skillet. 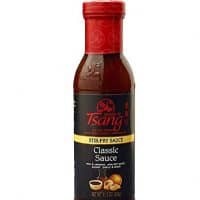 Add stir fry sauce and mix everything well to distribute the sauce. 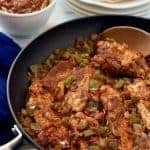 Reduce heat to low and let simmer until chicken is cooked through and you're ready to serve. 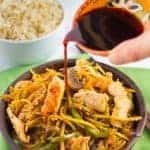 Serve stir fry and extra sauce over rice. We use an entire 1-pound bag for two adults cause I like LOTS of veggies. You could certainly use it for 4 people. Or add any extra veggies you have in your fridge or freezer (broccoli, peppers, snow peas, carrots). Or use 2 bags of frozen veggies and load up like me! Such a great go-to dinner! So quick and easy! The perfect dinner for a busy weeknight!